I usually make salads with it, but I have started dry grinding it in my Vitamix dry blade jug and adding the fine powder to smoothies and porridge. My next project is to make bread with it. I love it, even the sound of it and I am trying to incorporate it into more meals. It is known as a superfood and if you read on you will find out why. First off, it is pronounced keen-wah. I love the way that sounds! The Incas used it for thousands of years. They named it the 'mother grain'. It is actually a seed, not a grain. 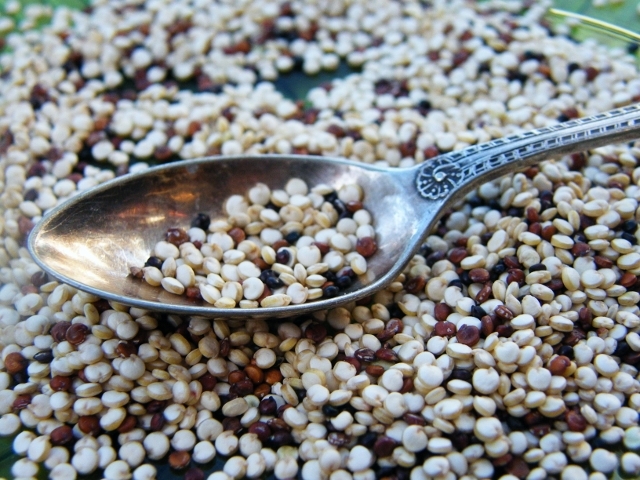 Unlike rice or wheat, quinoa is a complete protein that contains all 9 essential amino acids. It is high in dietary fibre, phosphorus, copper, zinc and iron. It's high in magnesium and riboflavin (B2), which can help migraine sufferers. It contains Lysine which is especially important in tissue growth and repair. It's low fat. 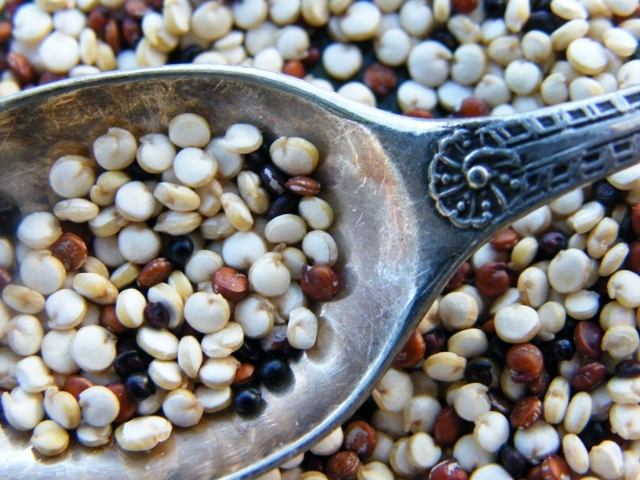 One cup of cooked quinoa contains just 3.4g fat, 222 calories and 9g of protein. It contains 5 times more calcium than animal protein and 9 times more iron than that found in a single serving of meat. It's a pro-biotic and feeds the good bacteria called ‘microflora’ in the intestines. Quinoa is gluten-free and you can grind it into flour to make bread. Last of all, it tastes great, it has a slightly nutty taste. Disclosure: Vitamix sent me a Vitamix Dry Blade to try out. I was not required to write a positive review and any opinions expressed are my own. Lovely photo Jac. We eat quinoa as our grain of choice. It tastes good, is easy to cook and is so good for you - an all round win. We've grown it a few times too, but it's too much of a faff to winnow and then clean off the bitter saponins. I bought a bag of quinoa flour once, but for some reason I thought it made things a little bitter so decided I wouldn't use it again. Will be interested to find how you get on. Thank you Jac, it seeems I always mispronounce it!! hehe!! Glad it has inspired you Kit. I really must eat it more often. I slip a bit in the winter. Great idea to use quinoa to make a powder that you can put in smoothies and stuff. Thanks TB, I had been thinking about it for a while before I got my dry blade. 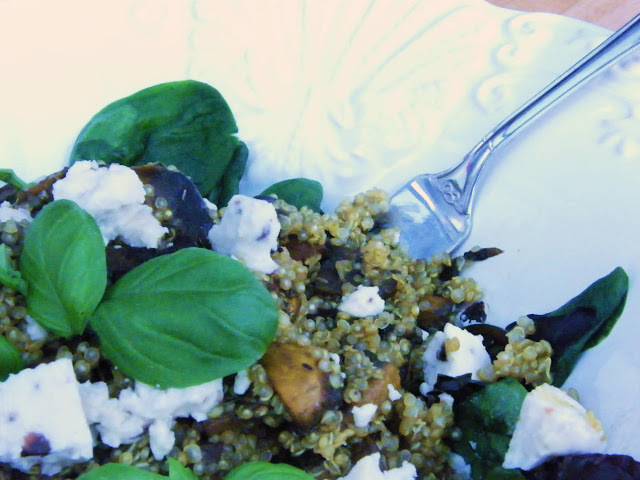 I love quinoa - what a great collection of recipes! Thanks Pam, I was impressed when I saw all the amazing recipes out there. It was hard to narrow it done to just a few. Ooh Keen wah, I will be saying it all day now..the correct way. 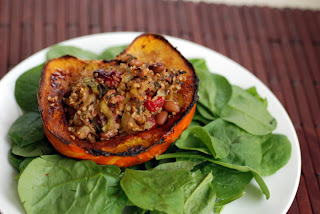 Lovely recipes and health benefits. I was like that when I found out too Jo. He he, keen wah! I can't continue to call it quoin-noah then? Ach well, you can only try. I have taken a liking to bulgar wheat recently too. I eat a lot of quinoa since I have started freezing portioned baggies of it. My post-run breakfast: mix some cooked quinoa with two eggs and then fry in coconut oil in pancake shapes. I would love to try using quinoa as a flour. I hope to hear how you get on.